Gold Coin donation will provide entry to the ground. All money raised goes towards the Lord’s Taveners Sporting Chance fund, providing athletes with disabilities as well as Aboriginal and Torres Strait Islanders increased access to cricket in Australia. Food and drink facilities are available on site. Patrons can bring their own food/drink. No glass, cans, alcohol or metal knives allowed into the venue. Please note the same conditions of entry to the MCG are followed at the CitiPower Centre, you can view the full list here. Please note pets are not permitted at the venue. Assistance dogs are accepted. Junction Oval is a strictly non-smoking venue. Patrons are welcome to bring individual fold up chairs or similar outdoor seating to use on the main grassed areas. The Blackie Ironmonger Stand will also be open to patrons. The Kevin Murray Stand will remain closed. 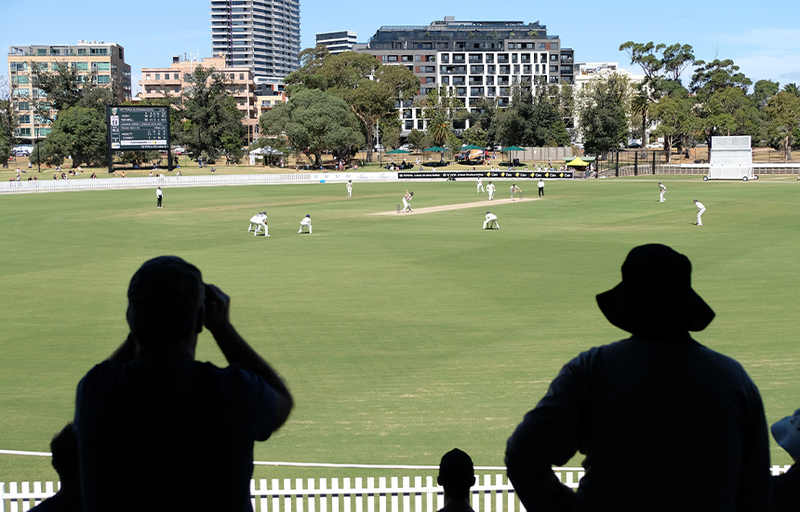 Cricket Victoria strongly recommends patrons use public transport to access the venue – see options below. The route 16 tram runs along Fitzroy Street, with the Princes Street / Fitzroy Street stop just a 3-minute walk from Junction Oval. Jump on at either Flinders Street station and travel towards St Kilda, or Balaclava station on the Sandringham line and travel towards the city. The route 96 light rail tram can also be caught from the city, travelling pass Southern Cross train station towards St Kilda. Alight at the Canterbury Rd / Fitzroy Street stop, just 5 minutes’ walk from Junction Oval. Get off at Windsor Station. It is a 15-20-minute walk from the station to Junction Oval via Peel Street. Very limited on-street parking will be available around the Fitzroy Street / Lakeside Drive / Junction Oval Albert Park Precinct. Parking fees apply. Cricket Victoria does not recommend patrons drive to the ground. Follow our social media channels for important information and updates across the match. Victorian Cricket Team on-field merchandise can be purchased from our online shop. Simply select the local pick up option when purchasing and you can collect your item from the CitiPower Centre reception on gameday!